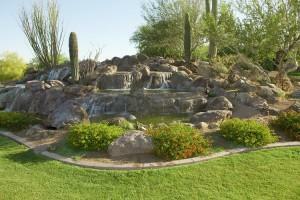 There are many reasons to choose a professional garden design in Phoenix. You may have the desire, but not the skill to execute a plan. Maybe you want a certain theme, or usage of specific plant life. 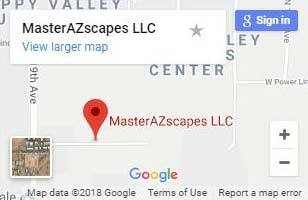 With more than 15 years of local experience, MasterAZscapes LLC’s landscapers can help you design your perfect garden. Get the right garden design for your property! When it comes to garden design, Phoenix properties vary. Our garden landscapers can design around any size and terraform the land or work with your landscape’s natural features. More homeowners are choosing to grow their own vegetables. Our garden planner can take these and other needs into consideration. We know how much care specific plants require. This allows our garden design Phoenix homeowners choose to have the right level of maintenance. Many homeowners look for hands off garden designs, others want to get their hands dirty. For the right garden design, Phoenix residents consider more than just flora. With the help of our garden designer you can have a complete back or front yard oasis. Our garden designs can incorporate gorgeous stonework, outdoor accent lighting, and so much more. With all the garden landscaping services you need right in one place, gorgeous garden design Phoenix gardeners cherish is just a phone call away. Call (623) 780-0474 or Contact Us today and design your dream garden!